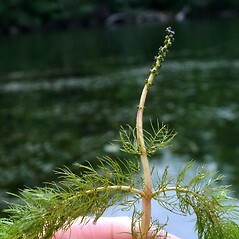 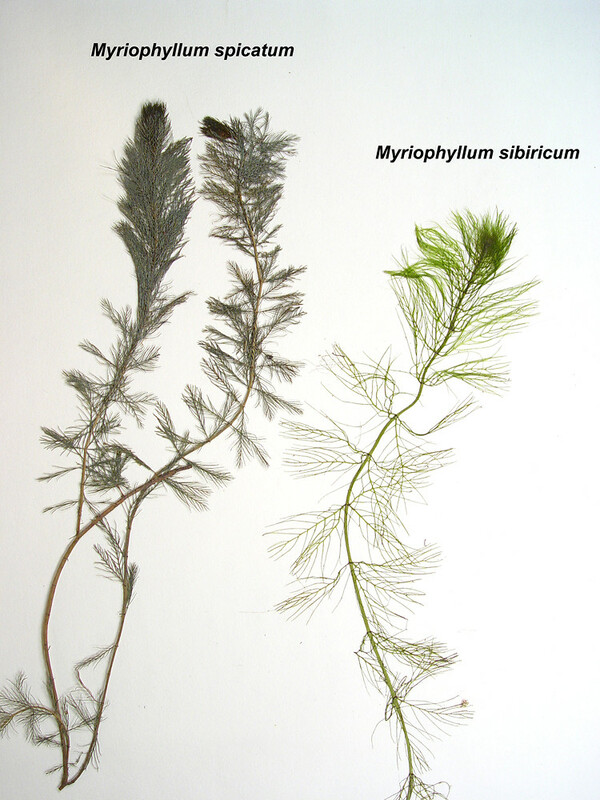 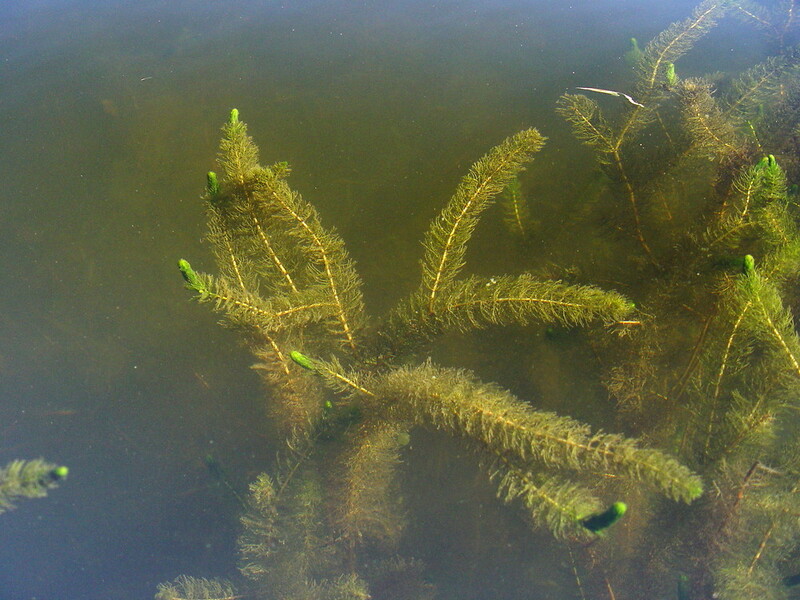 The native northern water-milfoil is often difficult to separate from the invasive Eurasian water-milfoil, whose leaves have more dissections. 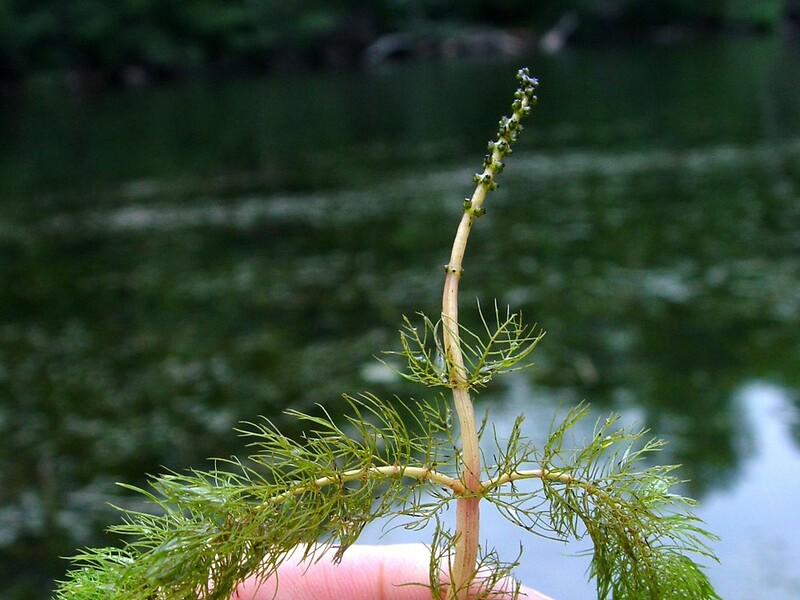 Northern water-milfoil was used by the Iroquois to treat poor blood circulation in adolescents. 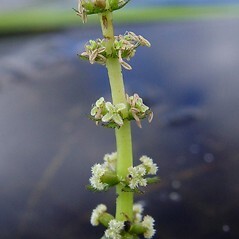 flowers and their subtending bracts whorled, leaf blades with usually 6–12 pairs of narrow segments, and turions formed in late season (vs. M. alterniflorum, with flowers and their subtending bracts alternate, sometimes the lowest opposite, leaf blades with usually 3–7 pairs of narrow segments, and turions not formed). 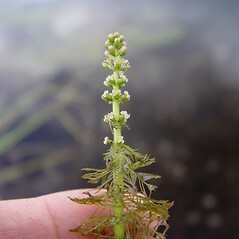 middle leaves with mostly 12–20 segments on each side of the rachis, uppermost leaves truncate at the apex, stems thicker below the inflorescence than at the stem base, up to twice as thick, and turions not formed (vs. M. sibiricum, with the middle leaves with mostly 6–12 segments on each side of the rachis, upper leaves rounded at the apex, stems of +/- similar diameter below the inflorescence and near the stem base, and turions formed in the fall). 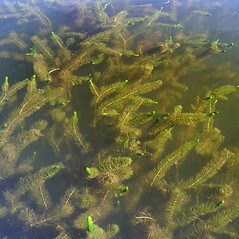 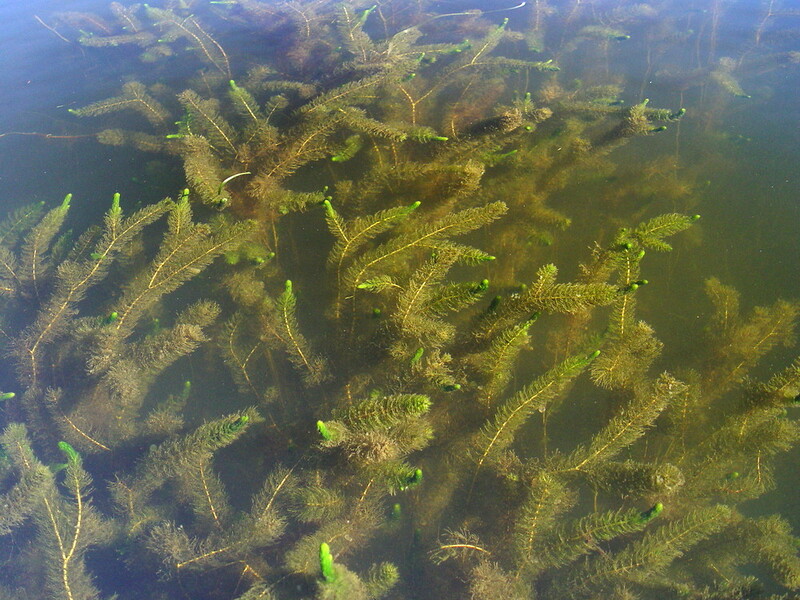 northern water-milfoil. 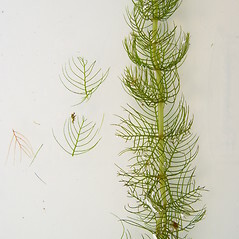 Myriophyllum exalbescens Fern. 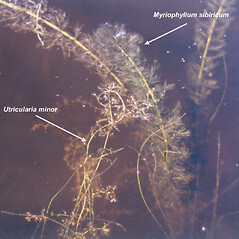 ; M. spicatum L. ssp. 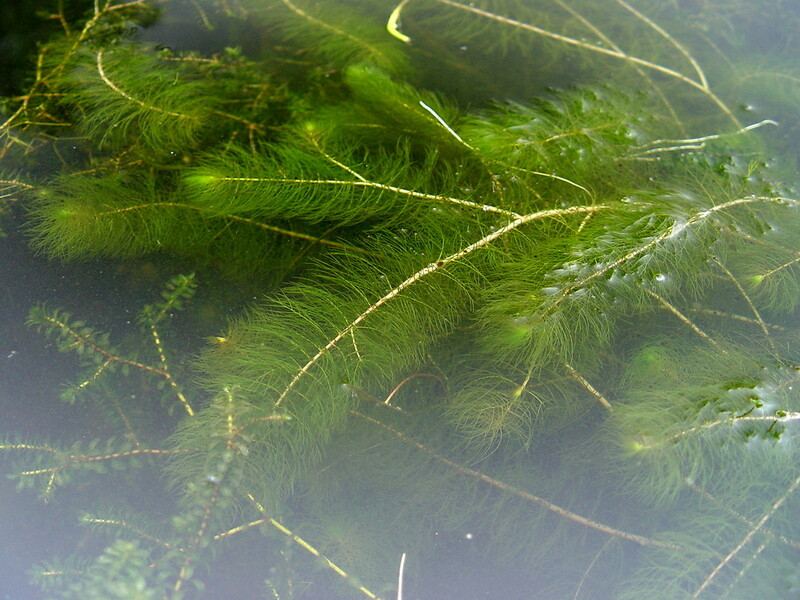 exalbescens (Fern.) 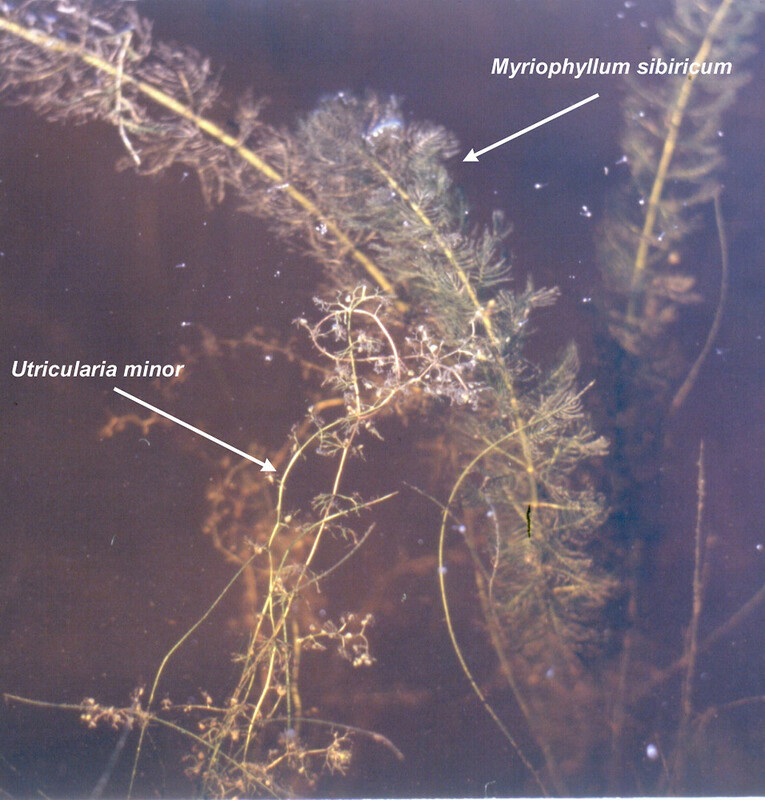 Hultén; M. spicatum L. var. 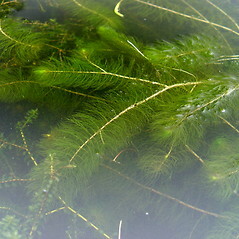 exalbescens (Fern.) 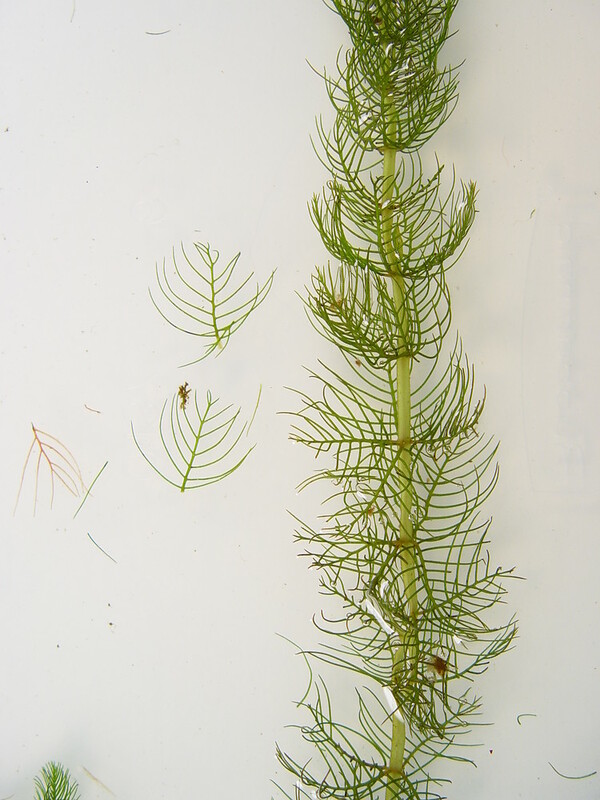 Jepson • CT, MA, ME, NH, VT; reported from RI by George (1992), but specimens are unknown. 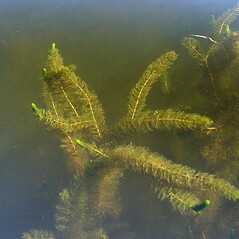 Slow or still-moving, circumneutral to basic water of lakes and rivers. 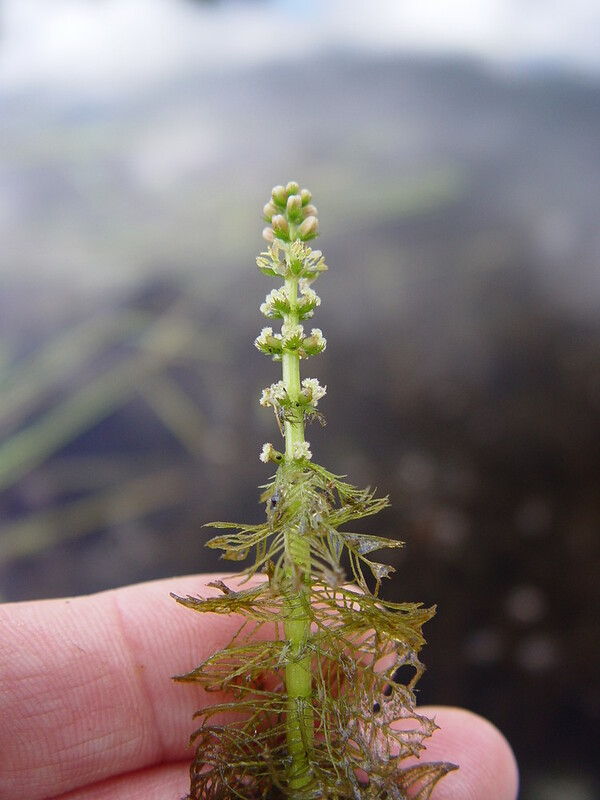 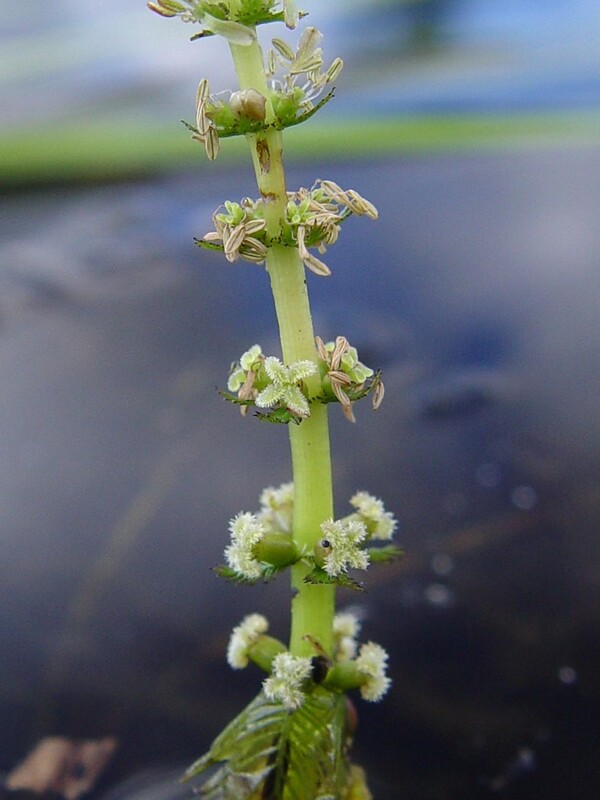 This native species is sometimes difficult to separate from the introduced Myriophyllum spicatum. 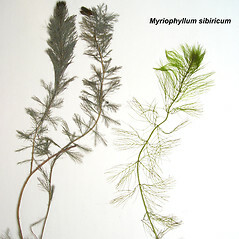 In addition to characters used in the key, M. sibiricum has knob-like vegetative shoot apices and stems that usually become distinctly whitened in drying, while M. spicatum has tassel-like vegetative shoot apices and stems that remain green or brown (rarely whitening) in drying.